We are pleased to announce that Lucy Jolly has an exhibition to show some of the art work produced by her students in the Tuesday and Thursday morning art classes. 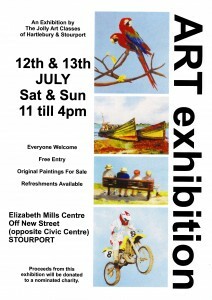 The Art Exhibition will be held on: Saturday 12th and Sunday 13th JULY from 11am to 4pm, at the Elizabeth Mills Centre, off New Street Stourport (opposite the Civic Centre). 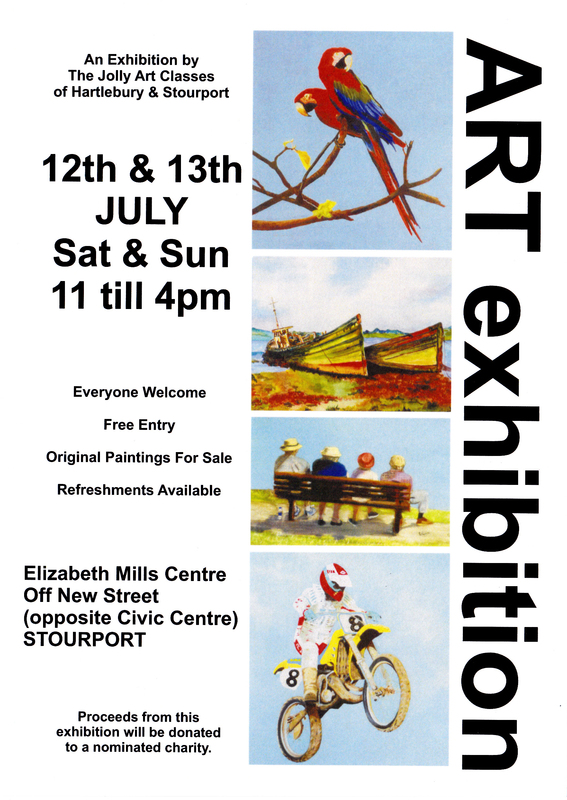 There will be a wide range of painting in a variety of mediums and some will be for sale and prints of some painting on offer. 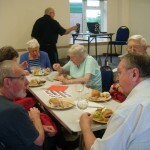 Tea, coffee and biscuits (or even cake!) will be available. There will also be a good selection of prizes to be won with a table-top tombola. All proceed will go to a nominated charity. 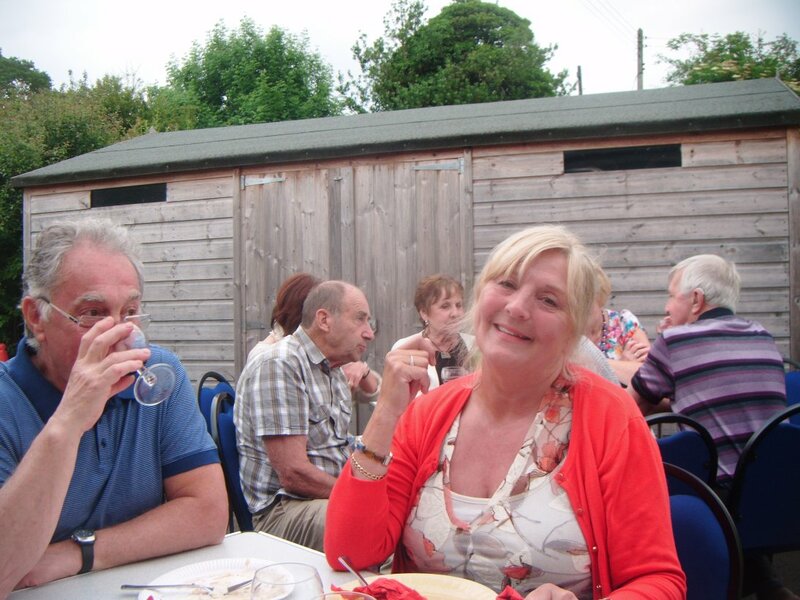 A lively and enjoyable evening was had by all with nearly 50 people attending the Social and BBQ evening on 19 June 2014. An art quiz put together by Dave Worn tested the knowledge of the guests. 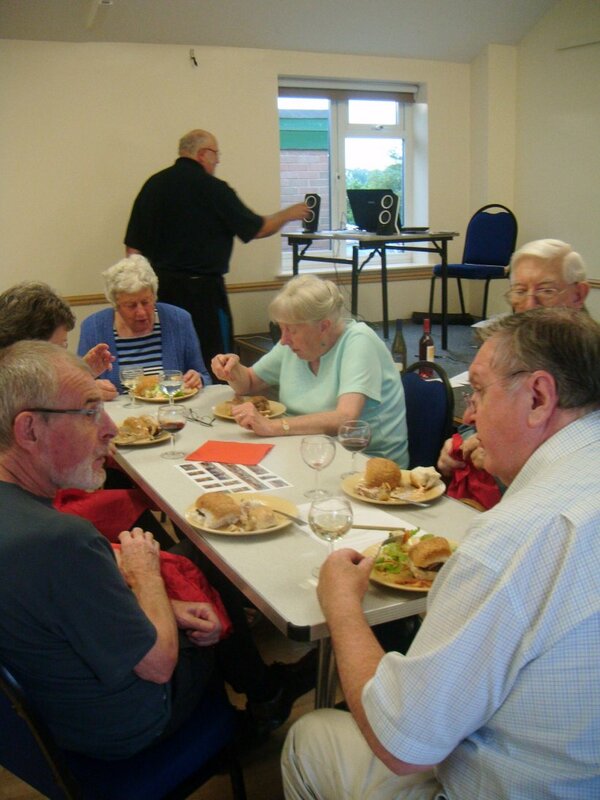 Bottles of wine etc are to be awarded to the winners (to be announced at the next meeting). 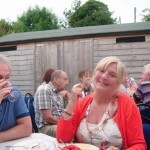 Many thanks go to the team who organised the BBQ and buffet who did an outstanding job of catering for everyone ! 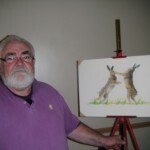 A huge thanks to Norman Rossiter who came all the way from Spalding, Lincolnshire to entertain the Kidderminster Art Society and demonstrate Derwent’s Inktense Pencils and Blocks. He gave us a fascinating insight into the different ways this medium can be used to create beautiful wildlife and landscape pictures. 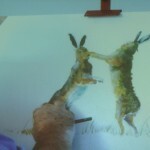 Norman particularly likes using Inktense when out sketching as it does not smudge and once water is added, it becomes permanent. On Thursday 5th July 2014, we look forward to welcoming Norman Rossiter who will be demonstrating Derwent’s Inktense range. Look back here for write-up and review later in the week! Remember the non-members are welcome to attend. Entry will be £5 which includes refershments.